A small colorful bird sits quietly on the naked limb of a dead tree, carefully scanning the field habitat below. This “sit-and-wait” perch hunter is North America’s smallest falcon, about the size of a Mourning dove, and it is not often seen in Grafton. Habitat loss and a lack of nesting opportunities have contributed to its precipitous decline across Massachusetts and the Northeast. A grasshopper catches his attention. The American kestrel leaps from his perch, dives, and artfully snatches the grasshopper from a blade of swaying meadow grass. He rises on the wind, emitting a rapid high-pitched “klee-klee-klee” and “flutter glides” to an elevated nest box where he delivers the insect to his four hungry chicks. It is a sight that should become more common in Grafton, thanks to a kestrel nest box monitoring program started last fall by the Grafton Land Trust. With the help of 25 volunteers, we installed 10 nest boxes on public and private property in Grafton and 15 volunteers actively monitored the boxes for breeding activity last spring. The nesting material of invasive species, such as the house sparrow and European starling, were removed as the season progressed to maximize the chances of kestrels choosing one of the nest boxes. 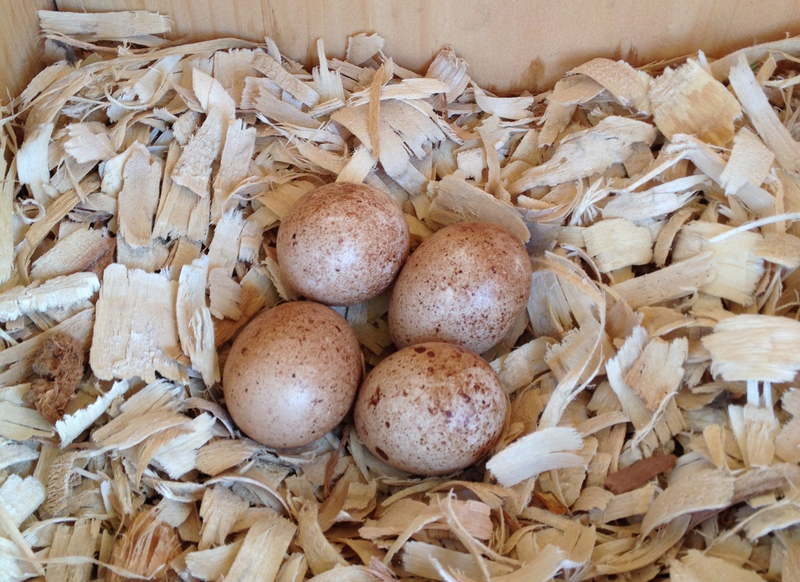 At the end of May, GLT volunteers discovered four light brown speckled kestrel eggs inside one of the boxes. The box was monitored periodically following the discovery and the hatching of all four eggs was confirmed at the end of June. On July 13th, GLT volunteers Troy Gipps, Robert Aberg and Paul Robinson assisted Mr. Andrew Vitz, State Ornithologist for MassWildlife, with the successfully banded all four of the kestrel chicks. Leg bands enable biologists to track the migratory patterns of kestrels across their range. 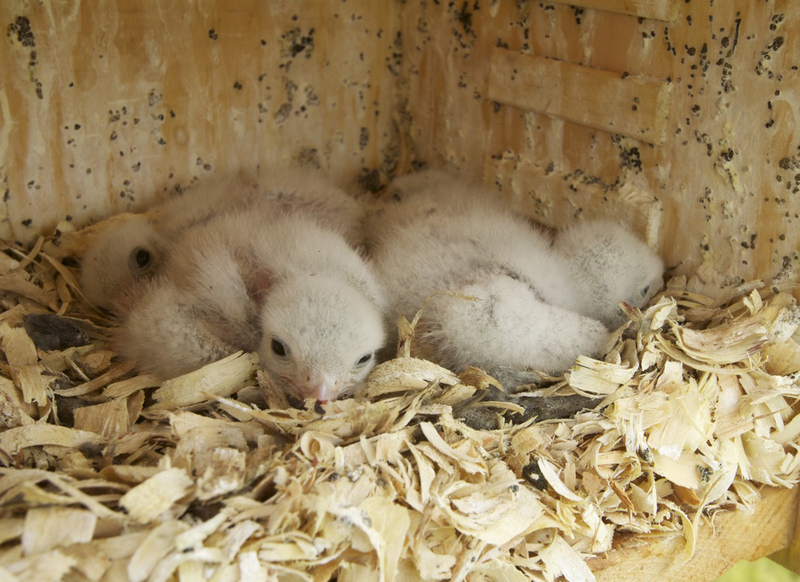 The success of the Grafton nest box last year is significant, as the closest known nesting pair of kestrels were using a nest box in Bolton, Massachusetts. Kestrels nest in cavities, but they lack the ability to excavate their own nesting sites, so they rely on old woodpeckers holes, natural tree hollows, rock crevices, nooks in buildings and other human-built structures, including nest boxes. They favor open areas, such as meadows, grasslands, and farm fields, with short ground vegetation and sparse trees, and feed primarily on insects and small rodents. If you are interested in maintaining and monitoring a nest box, contact us by phone at (508) 887-0065 or by email at kestrel@graftonland.org. 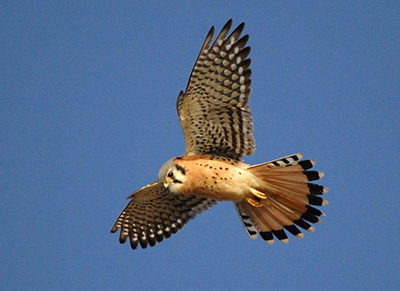 By working together, we can build on our successful first year and help to bring the American kestrel back to Grafton! GLT Annual Dinner 2015 - Kestrel Project Presentation (PDF/30MB) -- New!